Just regular folks. 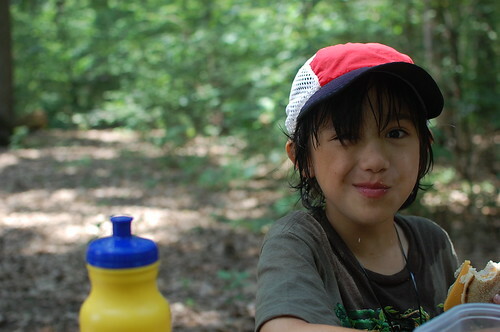 : Camping in the scorching heat and a downpour. Camping in the scorching heat and a downpour. 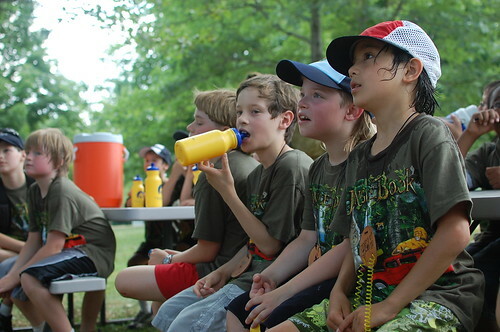 Yesterday, Vince started cub scout camp. Every parent has to volunteer at least once during the week, I volunteered yesterday - I figured I would just extend my vacation one more day. It reached almost 100 degrees yesterday. We were sweltering, listening to nature talks and doing crafts. The kids were restless. Vince ate three sandwiches. A record. As we ate lunch, it started raining. Hard. 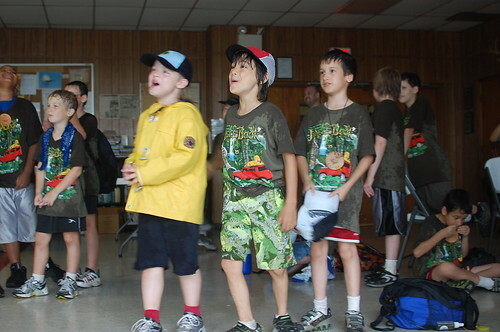 But we were cub scouts, we pressed on with the camp. We were eagerly looking forward to the next station, BB guns. 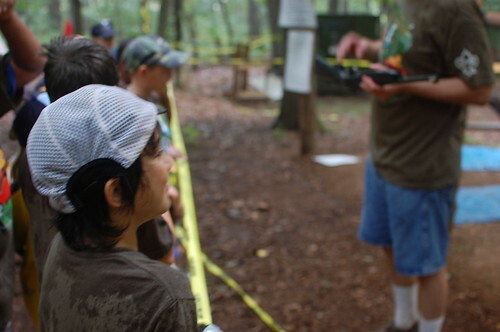 Everyone was willing to get wet to get a chance to fire a gun, although another mom said a sentiment held by all the adults - "My son owes me..."
Then we heard the thunder and we all trundled into the indoor shelter where songs were sun and after a bit, camp was canceled. Well, I looked at the picture and could tell it was hot, hot & hot. Washougal, WA (a suburb of Portland, OR), along the Columbia River north shore, is really a nice place for the Summer. No rain, no heat and a lot of places to do out door. Vacation at the beach. And the ER. Steak dinner during a blackout. Edda has a tough time falling asleep. I'm missing my quilting fix tonight.